Back pain is a musculoskeletal condition in which short-term, recurrent, or long-term pain is experienced in any area along the back and spine. Low back pain is most commonly reported, and has even been held responsible for more than 20 million visits to the emergency room, but upper back pain may be experienced as well. Movement such as standing, sitting, or walking may increase back pain, and discomfort may also be felt in the arms, the pelvic region or the legs. Back Pain? Learn About Your Pain – Watch This! 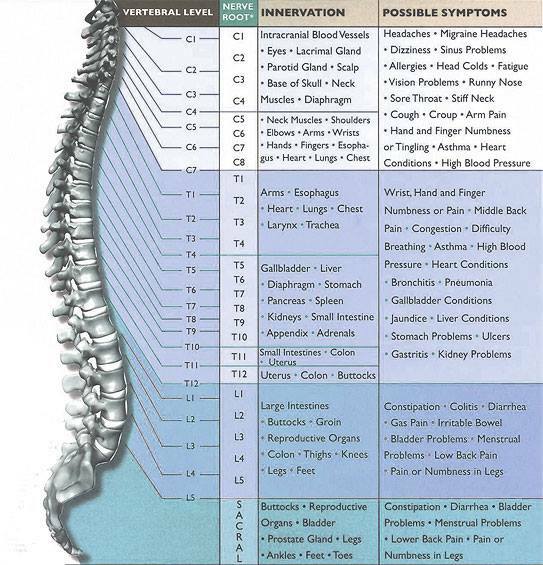 There are many causes of back pain. Red flags for back pain include: muscle weakness, mobility problems, loss of bladder or bowel control, urinary retention, and vertebrae that are tender to the touch. If these conditions are present, immediate medical attention may be necessary. Additional risk factors such as excessive weight gain, lack of exercise, smoking, consuming excessive amounts of alcohol, improper lifting, poor posture, stress, depression, an injury caused by a fall or vehicle crash, a suspected spinal infection, and a history of cancer can increase the occurrence of back pain. A physical examination as well as a review of an individual’s medical history is typically utilized to diagnose back pain. Neurological examinations may also be performed in order to determine whether nerve damage may be causing the pain. Once diagnosed, treatment often involves pain medicine or physical therapy as well as educating the patient about ways to relieve pain (e.g. proper lifting techniques or correcting poor posture) and improve range of motion. Back pain treatment aims at reducing, relieving, and preventing chronic pain. Acute pain may be treated with medication, physical therapy, or a combination of both methods. Medication usually helps relieve pain by reducing inflammation or relaxing tense muscles, while physical therapy involves specific techniques and exercises that strengthen the back and improve range of motion. Strengthening the back can reduce recovery time and prevent future injuries. Massage therapy focuses on the soft tissues and muscles in the back and can improve blood flow, which helps relieve both pain and tension. Acupuncture is an alternative form of therapy that involves placing needles in specific regions of the back where the symptoms originated as well as distant areas that may be contributing to the pain. The appropriate combination of needle placement has the ability to reduce pain, stiffness, and muscle spasms in some patients. Spinal manipulation is the application of single, rapid, and controlled movements to the spine through the hands or a special device. This procedure is also referred to as high-velocity thrust, and is different from repetitive movements or sustained stretches that may be applied during physical therapy. Spinal manipulation is most effective in patients experiencing acute low back pain when it is utilized during the first month that the symptoms began. Direct spinal injections are also an option to alleviate back pain. 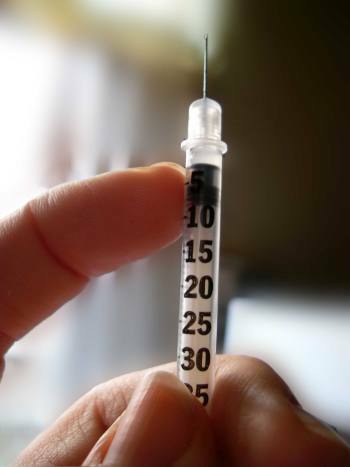 Epidural injections are performed to deliver long-lasting steroids, sometimes combined with local anesthetics. Other steroid injections, given to the facet joints connecting the bones of the spine, are recommended for back pain. Injection therapies give prolonged relief from lower back pain, spinal stenosis and pain resulting from degenerating and herniating (bulging) discs. Back pain is not typically treated by surgery unless nerve damage or a herniated disc has been diagnosed. There are different types of surgeries that can be performed on the back such as discectomy and laminectomy for spinal stenosis. Discectomy entails removing herniated disc tissue, and a laminectomy can be performed to relieve pressure on the spinal cord. Surgery is sometimes considered when back pain is causing decreased mobility or other serious health conditions. Back pain, especially in the lower back, is a common musculoskeletal condition that may be caused by several factors such as muscle strains, injures, fractures, disc disease, infection, brittle bones (e.g. osteoporosis), tumor, or cancer. Risk factors such as a lack of exercise, obesity, poor posture, improper lifting, smoking, and consuming excessive amounts of alcohol can also lead to back pain. This condition can be aggravated by standing, sitting, or walking and additional pain may even be experienced in the arms, legs, or pelvic region. Doctors often diagnose back pain through a physical examination, a review of a patient’s medical history, or through a neurological examination when nerve damage is suspected. When acute back pain is diagnosed, common treatment methods are those which can be followed at home such a taking pain medicine, using heat or ice pads, and avoiding excessive lifting. If chronic back pain or a serious underlying condition is diagnosed, more intensive treatments such as rehabilitation therapy, spinal manipulation, or surgery may be utilized. The ultimate goal of back pain treatment is to reduce, relieve, and prevent chronic pain and the optimum form of treatment may involve identifying the right combinations. 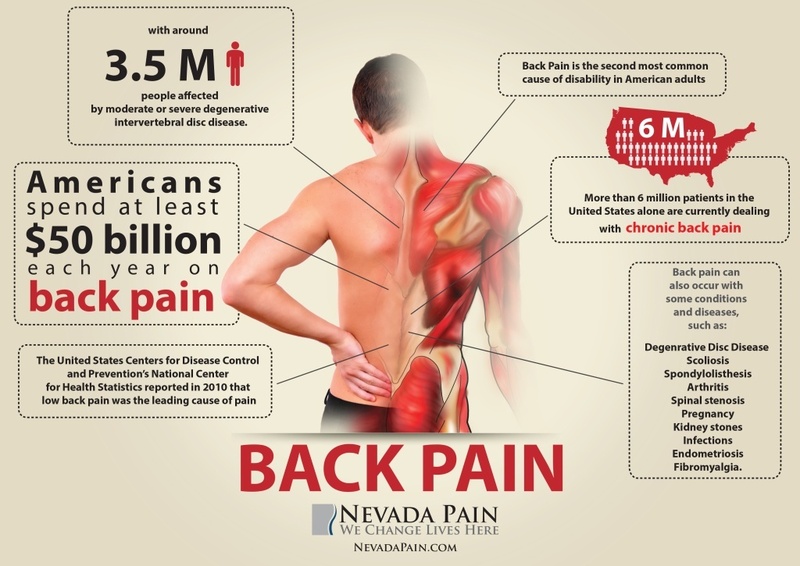 At Nevada Pain our goal is to relieve your back pain and improve function to increase your quality of life.